How do you like this for bright. Bright , colorful fabrics are IN for the season. 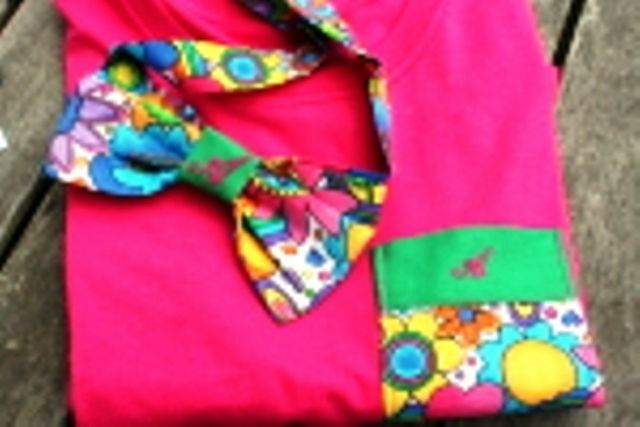 This Pocket T is a new product with a bow tie belt to match. This one is a size Jr. Med. It has monogramming on tie and pocket. Prices will depend on sizes and amount of monogramming desired.